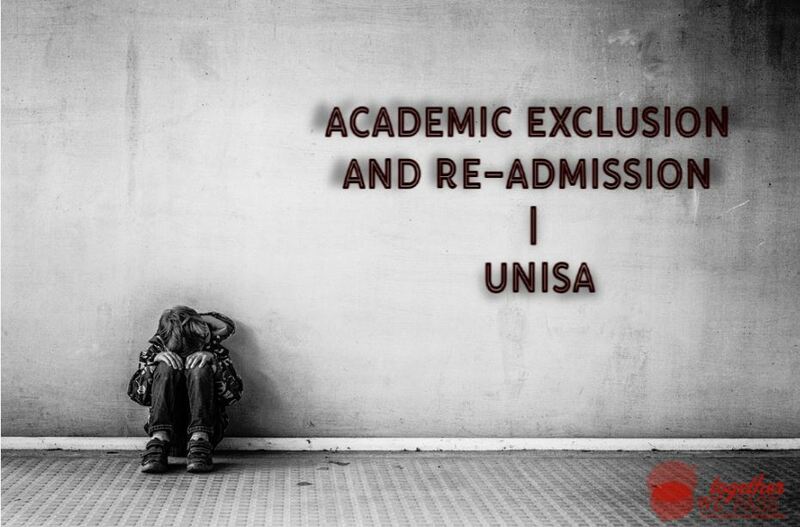 Unisa students who perform poorly academically throughout the year faces the risk of academic exclusion, resulting in students being unable to study further at undergraduate level. When it comes to studying via distance learning, it can become an obstacle for most people as it requires a bit more patience, motivation and self-control to do rather than students who end up going to a campus-based educational institution where you can go to classes and have regular testing of modules. Many students unfortunately do have the tendency to procrastinate, doing it to the extent that it results in poor academic performance and in turn, turns into an academic expulsion from their qualification. Many, if not all universities around the country do have rules and regulations when it comes to poor performance from its students. These specific rules have to be adhered to by all undergraduate students, irregardless of the year the student registered for a formal qualification at Unisa. Students MUST complete their qualifications within the allocated time period. Applications that do not meet the criteria will not be under consideration as well as noting that this is not an extension that could be used as an appeals for an extension. Students, however, can be readmitted to their qualification provided that they provide proof of a successful completion of a one-year qualification at a NQF 4 or higher level at an accredited institution, with at least a minimum of 48 credits completed. Students who are at the maximum time allowed and have less than 60 credits outstanding will be given 1 year to complete. Students with disabilities may apply to the Registrar for exemption from the above rules as mentioned regarding the number of credits required. Students on extended programmes may apply to the Registrar for an additional year to complete the required number of credits. Students who decide not to register for a consecutive academic year must apply for a deferment; the academic year will then not be taken into consideration in calculating the number of years. Students who are excluded on grounds of poor academic performance have the right to appeal the decision through the Registrar. Comparing answers with other students by using our Assignment Comparison tool. So if you’re a distance learning student and you feel like you might need others around you to get into the work, then there’s no reason to study alone anymore when there’s a large online community just waiting for you. You can find out what we offer by clicking on the link here. 0 Responses on Update on Academic Exclusion Rules from Unisa"